In today’s day and age, you will very rarely find a business owner sitting on their laurels and simply allowing their business to move from one day to the next without change. With the current unsteady financial climate, most should be doing their utmost to move their business forward in order to attract and secure enough new customs to stay afloat. One of the many ways in which this can be achieved is to invest in the latest technology for your particular field of business. Whilst this may seem a daunting prospect both in terms of a lack of technological experience and a strain on already limited finances, the advantages of making the investment could be profound. No matter what industry you find yourself in, there is almost certainly going to be a form of technology at your disposal – whether this be a specific system, programme or piece of equipment – that can have a positive effect on the way in which your business is run. For instance, a retail setting that is behind the times in terms of technology could definitely benefit from the introduction of point of sale and EPOS software to make payment transactions swifter and stock counting easier. Although the transition from traditional ways to modern alternatives may be unnerving, if you are able to keep track on the amount of stock you have on the shelves whilst making payment at the tills quicker, this could have long-term financial benefits. In an office environment, a large number of computers has now become the norm. In the world of computer technology, new system updates and program developments are common place so ensuring that your business stays up to date with such regular changes can be a struggle. However, by investing in professional help, you may then be able to divert your attention away from this area to concentrate on other pressing matters, safe in the knowledge that everything is being taken care of on your behalf. 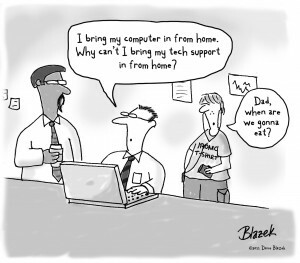 Professional tech support could help prevent employees from needing their own! Whether you decide to develop an in-house team to offer support when it comes to your IT systems, or decide that outsourcing will be a more cost-effective option, having one individual or a team of technologically savvy employees who are aware of technical changes that could influence the performance of your business will give you an advantage over your competitors. It is no secret that attracting new custom can be a struggle and with many consumers now using the internet to find local services, ensuring you have a fully functional website and an online presence is more important than ever. Attractive website design coupled with an SEO campaign to get your business ranking in the search engines for particular terms related to what you offer could make all the difference and give your company the edge when attracting new customers. Although the current financial climate leaves many businesses in a perilous position, it is clear to see that with an investment in new technology, things may well turn around. From developing a fresh and invigorating website through to purchasing the latest equipment and calling upon professionals to offer assistance, you and your business could see a turn in fortunes that leaves you in a far more stable position. Hayley blogs about all things IT related on behalf of ihotdesk, experienced providers of IT support London to an array of businesses, both large and small, across a broad range of industries. I’m more of a ‘team guy’. I try doing most things in-house. The problem is, I can’t find the right team, if you know what I mean. That’s right, Christopher! I only found people with no experience at all. How can I make the job done with them in useful time? 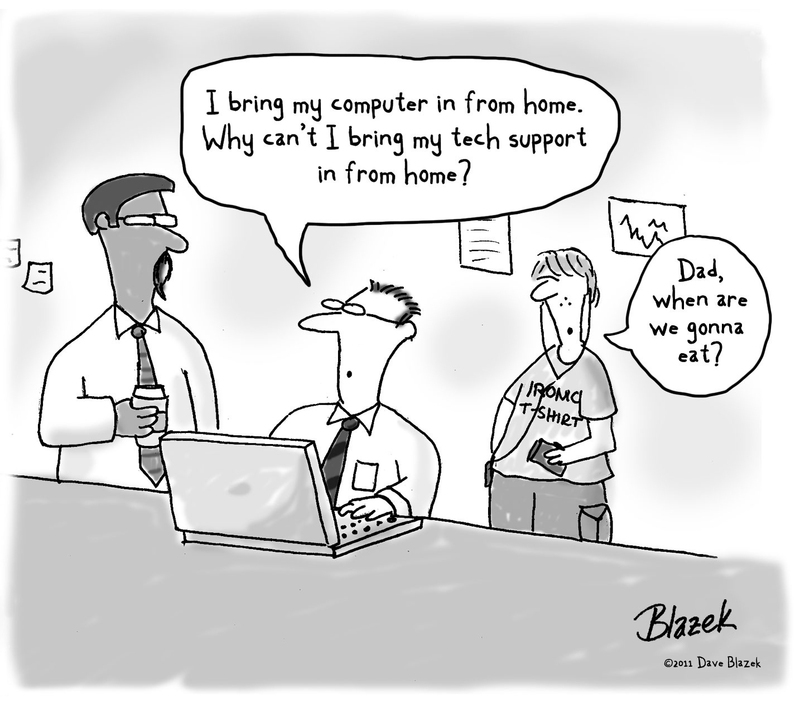 Staying on top of technology at the workplace is definitely a plus, no matter what business. Of course, it can be expensive and that’s why an IT professional who can always stay on top of things and suggest the most optimal and necessary upgrades only that give the biggest improvement in productivity at least expenses is necessary. Technology enhancement is no doubt the best way to grow a business. As a business owner you should always be on the lookout for new technology that can reduce operation costs and perform tasks more efficiently. I can clearly see the need to invest in new technology and latest equipment, and of course, calling on the professionals to assist. The problem is the timing, it is very hard to shelve out cash in the present state of my finances. Have to scrimp and save first, or go for a loan as a drastic course. I would agree that finance is a big issue for many businesses at the moment Amy. Most firms are taking very short-term views in order to survive, rather than investing in worthwhile long-term technologies. I agree with your comments however with a lot of small businesses they probably need to invest in some training before they bring in lots of new technology. I meet lots of small business people who cannot use a usb drive and have no idea of what a domain name is. There is a sizeable subset of the small business community that is being left behind as technology stems ahead. It is always worthwhile to invest sometime looking in ways to assist staff members with new software and processes. As for IT support I think it is worth having some overal tech team but possibly using off-site experts in a help desk or engineers who visit and know about server setup etc. I guess the main issue for many businesses is the cost of the training and new staff, in order to implement new technologies. With most technologies though they can seriously improve productivity and efficiency. Thanks for the comment Luke, welcome to Technology Bloggers! Another important tool, which you didn’t mention, to running your business effectively is Customer Relationship Management (CRM) software. Whilst CRM can be costly and you do need to train staff if you want to use it effectively it can help improve your customer service by collecting and storing data to help tailor the customer experience. Thanks for adding your comment, welcome to Technology Bloggers! There always seems to be a bit of “pain” up front when implementing new tech in the business but after a while it becomes part of the fabric of running the business and you never know how you coped before. Proper planning of systems and analysis resources is key. You may find you already have great tools you just dont use effectively! That is true Tim, it is the case for most technology, we are reluctant to adopt it, but once it becomes a part of our everyday lives we wonder how we lived without it!